Season five of "The Celebrity Apprentice" kicked off Sunday night, and host Donald Trump wasted no time getting straight to business in the premier of NBC's hit show. 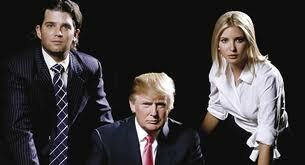 The show is an adaptation of the original "The Apprentice" a reality show in which contestants compete for an apprenticeship with Donald Trump. In "Celebrity Apprentice" celebrities compete in the same competition, but play for various charities of their choosing. Model Cheryl Tiegs was the first of the celebrities to hear the infamous words "You're fired!" this season. Latin American model and film star Patricia Velasquez led the women's team to a losing effort in the first task, while project manager Paul Teutul Sr. of Orange County Choppers edged out the competition, raising more than $300,000 for the Make-A-Wish Foundation. In the task, each team was to make and sell sandwiches, with the goal of raising as much money as possible. Both teams used their celebrity status to their advantage in the contest. Entertainer Penn Jillette and Lou Ferrigno ("The Incredible Hulk") of the men's team attracted huge crowds outside, while "American Idol" star Clay Aiken worked the cash register inside. Singers Debbie Gibson and Aubrey O'Day serenaded customers inside the shop for the women's team. Back in the boardroom, Trump went about his interrogation process as usual and announced the winner. Tensions rose slightly, but there were no fireworks as can sometimes be the case in a room full of celebrity egos. Surprisingly, the women didn't seem afraid to call out mafia daughter Victoria Gotti. In the end, Trump eliminated Tiegs from the competition but had some words of caution for Gotti. This season's star-studded cast promises for plenty of drama. With so many big names and so many similar occupations, tempers will flare. Much to the dismay of many viewers, rock star Dee Snider kept a low profile in episode one. However, in a preview of next week's episode, Snider seems to play a critical role in the task. There is never a shortage of drama when a group of strong, independent women are put to work in the same room. Although Gotti may not last much longer, she came into the show claiming just a couple enemies, and in the first task she seemed to make many more already. Another surprise was the tameness of "Real Housewives of New Jersey" star Teresa Giudice. In fact, Gibson comments on the sense of insecurity she portrayed over the first couple of days. Other stars featured in this season of "The Celebrity Apprentice" include Adam Carolla, Arsenio Hall, Dayana Mendoza, Lisa Lampanelli, Michael Andretti and Tia Carrere. 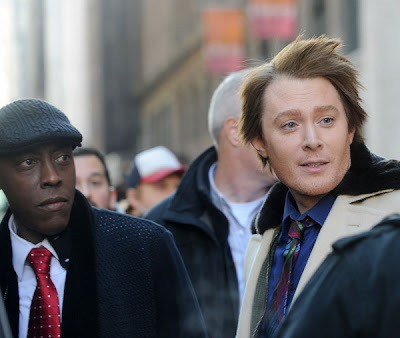 An all-new episode of "The Celebrity Apprentice" airs Sunday at 9 p.m. on NBC.